Isolated in the altiplano region of the Bolivian Andes, the community of Marquirivi belongs to the Colquiri Municipality on the border of La Paz and Cochabamba states. About 300 people live here year-round, with the town’s population swelling during seasonal planting and harvest. The agricultural community suffers heavily from ineffective irrigation and low economic opportunity, urban migration, and nonexistent sanitation infrastructure. Endemic health problems in the community, including dysentery and gastritis, disproportionately impact elderly adults and young children. Marquirivi lacks even a basic sanitation attempt to sequester human waste. Instead, excreta are able to contaminate water, fields, and crops. The mountain spring water available in the community is so cold all year round, residents fear that bathing regularly would make them sick. Efforts by the public schoolteachers and clinic nurse to improve hygiene and sanitation have largely failed. Currently, it is common practice for children to defecate directly in the washes which are then used to irrigate fields downstream, and it is not a common practice in the community to shower. Our project to help remedy this situation in Marquirivi started as an irrigation project in September 2011. The community of Marquirivi originally approached our partner Engineers in Action to request an improved irrigation system for their farms. Marquirivi already has a high availability of potable water, sourced by a spring and stored in several tanks, but their current irrigation system lacks the water supply necessary to sustain the entire community. However, halfway through EWB-USA University of Arizona Chapter’s first assessment trip in May 2012, a truck full of irrigation piping and supplies appeared, supplied by Marquirivi’s parent municipality to supply much-needed irrigation water for the community. 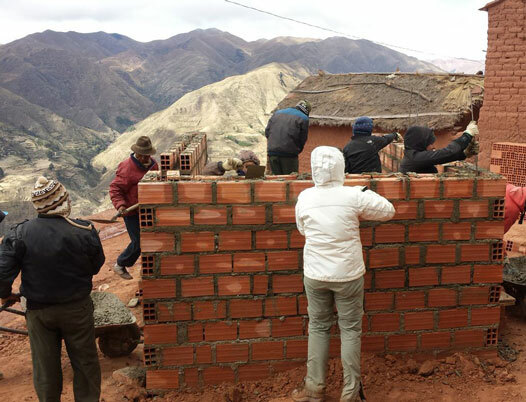 As this government project meets much of the irrigation needs of the community, EWB-USA University of Arizona Chapter immediately began evaluating other opportunities to help out the village of Marquirivi, Bolivia. During the first assessment trip, the travel team found that there is another vital demand in the community: latrines and showers. The entire community currently has just six latrines and one shower. None of these latrines treat the waste, and at least half of them are out of order. Additionally, due to Marquirivi’s mountainous terrain, these latrines only service a few families since the vast majority of homes in Marquirivi are located very far uphill or downhill from these facilities. The people of the community loved the idea of latrines and showers, and agreed that they would use and maintain the facilities even if they were shared by multiple families. While on the first assessment trip, the community voted for the EWB-USA University of Arizona Chapter to implement latrines and showers in the form of showers for 10 families as the official project. Since the assessment trip, EWB-USA has been working to plan around the hurdles presented by this project. Geographical features and accurate information about them are some of the chief constraints in our designs. Since the community is on a steep mountain slope at elevations ranging from about 12,500 to over 14,000 feet, the terrain is a huge factor in any design. The community is also extremely dispersed over several miles of Planning introduced many more considerations, including more accurate soil tests, more data concerning the grading of the terrain, and more information on agricultural practices for possibility of irrigation with used shower water. 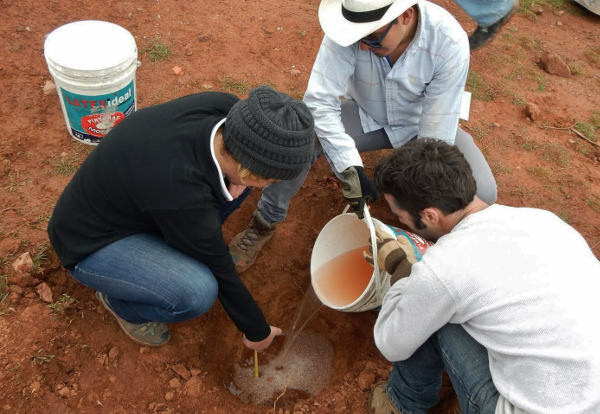 Members of EWB-USA UA chapter, in collaboration with EWB-USA decided that another assessment trip was necessary to gather the additional data that could not be collected during the original, irrigation-oriented assessment trip. 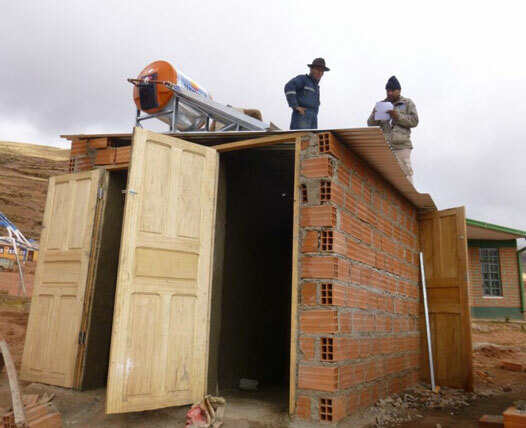 In general, the showers will heat water using a solar thermosyphon, a water heating device already common in Bolivia. This allows us to source the parts locally, making our project more sustainable in terms of maintenance and use of local services. These features make a thermosyphon a very effective solution for our project. A solar thermosyphon is a simple but effective means of heating water with no moving parts. To heat water, the water circulates from a storage tank through a simple solar collecting panel. Because the hot water exiting the solar collector is less dense than the cold water entering the solar collector, the water circulates naturally without any pumps or controls. Because of their simplicity, these devices are durable and can last over 20 years with minimal maintenance. The latrines will be several ventilated improved pit (VIP) latrines, as the terrain makes sewage treatment or disposal very difficult. 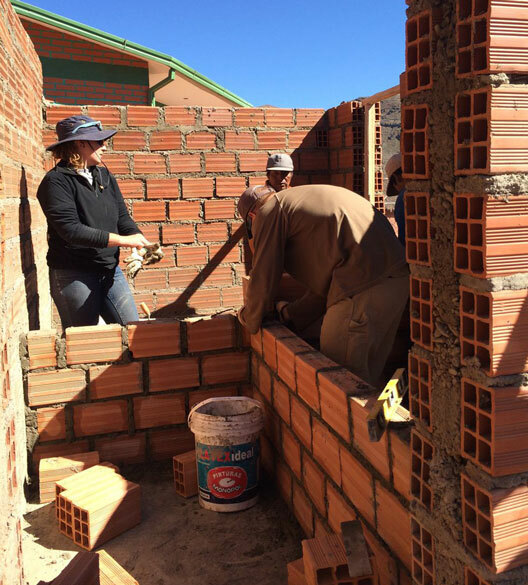 The latrines are being designed to be clean and durable, conforming to World Health Organization recommendations. We will build several latrines in each trip, and plan to teach the community how to build similar modern latrines themselves. 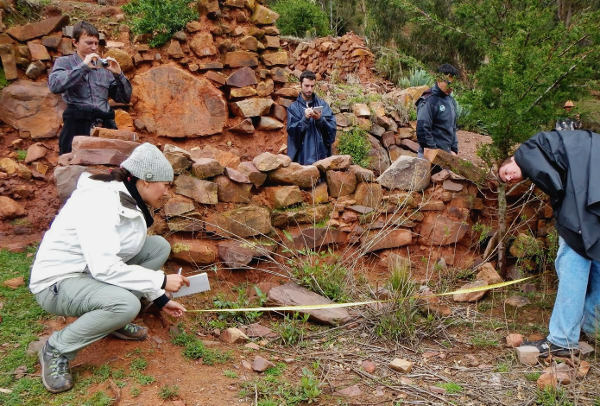 Our team returned to Marquirivi for an additional assessment in December 2013. While on the second assessment trip, the community met and voted for EWB-USA University of Arizona Chapter to implement family latrines and communal showers. This would be a more viable solution than having both communal latrines and showers. While looking over priorities, the community helped decide where the first 3 latrines where going to be constructed. EWB-UA then conducted the necessary soil testing and land surveying at each location (the backyard of each family home). While in our assessment trip we decided to split the project in 2 separate projects (one for the showers and one for the latrines) thus we would send 2 separate teams for the first implementation. Upon our return from the assessment trip we finalized our designs of one communal shower and the 3 latrines and submitted all the appropriate documentation to get approval from EWB-USA and the Technical Advisory Committee (TAC). The first implementation was for the shower and was conducted in June 2014. The project was recently featured in an article in Zocalo Magazine. 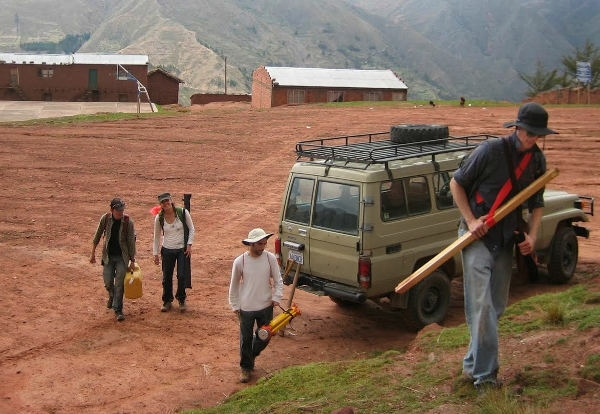 In the summer of June 2014 EWB-UA traveled to Bolivia for two weeks for the first implementation trip to build the first shower in the community of Marquirivi. During this time,the team worked with the in-country NGO, Engineers in Action (EIA), and the community to complete the construction of the solar-heated shower in the community. The shower house consists of 3 stalls, one for women, one for men, and a bigger size stall designed for a family. Currently the shower is functional and in operation. During the implementation trip, the team cooperated with the teachers to implement the education plan developed by EWB-UA. Children from kindergarten to 6th grade were instructed about the benefits of washing with soap before eating and after going to the bathroom. The team emphasized the importance of this activity on disease prevention. A second implementation trip is planned for Fall 2014. EWB-UA plans to return to the community to build three Ventilated Improved Pit (VIP) latrines and start training the community for latrine construction assessment.